Chiang Mai is the second largest city in Thailand and its cultural and spiritual capital. It is located in the north of the country, tucked into green hills and lovely mountains featuring ancient structures and lively markets. 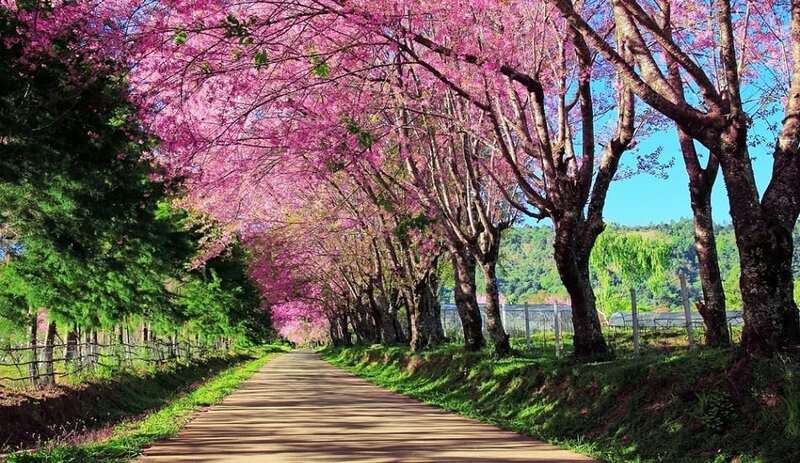 The cherry blossoms grow on the top of Doi Suthep, in the gardens of Khun Chang Kian Highland Agriculture Research Center.